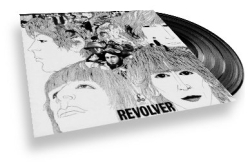 A free e-book telling the story of the Beatles 1966 album Revolver. The book is now finished! Download the completed Abracadabra! v0.1 in PDF format (726kb). having trouble reading the pdf? A section of the book was previously published by Ear Candy magazine. Previously posted 03/08/2006 - some typos corrected. London as the Beatles knew it, with links to online maps and Google Earth. Help me with the 2nd edition! I need help with interviews, references, photographs and illustrations. Please help!